HTC announced earlier today that they are going to offer their own branded handsets in China. Rather than launching through carrier branding or the Dopod moniker, HTC will shipping devices directly. The first few phones listed, the Desire and Wildfire will be joined by another newly announced entry-level Tianyi. Pricing and availability for the three phones is not yet known. The Tianyi, pictured above on the far right, looks like a mini-Nexus One. BEIJING, July 27 /PRNewswire/ — HTC Corporation, a global designer of smartphones, today introduced its brand and first HTC-branded devices in China. As part of its mobile operator focus, HTC also announced a partnership with China Mobile to bring future HTC phones to market and announced a new distribution partnership with China’s largest electronics distributor, GOME Electrical Appliances Holding Ltd.
With a broad portfolio of innovative smartphones, HTC’s design philosophy is rooted in the belief that one size does not fit all and focuses on creating an intuitive and personalized mobile experience that is based on a unique people-centric approach. HTC has become a leading mobile brand focused on simplifying how people communicate by emphasizing improvements to little things that deeply impact the experience people have on their phones. HTC’s entry into China represents its continued growth and highlights the broad demand for its unique smartphones and the increased visibility of its brand globally. HTC designs some of the world’s most popular smartphones and provides a unique opportunity to make each person’s phone experience uniquely their own. 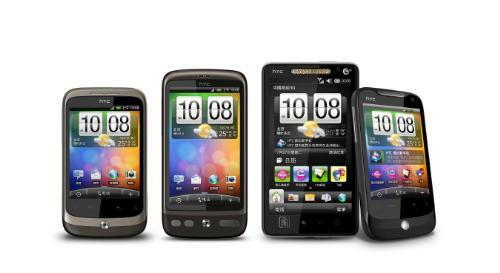 Initially coming to China are HTC’s newly unveiled smartphones with HTC Sense: The HTC Tianxi, HTC Tianyi, HTC Desire and HTC Wildfire. 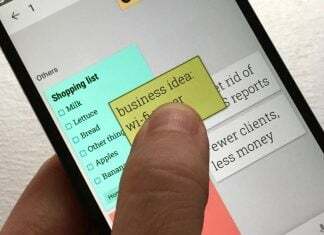 HTC Sense is a unique user experience focused on putting people at the center by making phones work in a more simple and natural way. This experience revolved around observing and listening to how people live and communicate. The industry has recognized HTC’s contributions through a variety of awards including Fast Company’s 2010 Top 50 Most Innovative Companies and MIT Technology Review’s 2010 50 Most Innovative Companies. The GSMA also recently awarded the HTC Hero as the “Best Phone of 2009.” For more information on HTC’s history of industry firsts, visit www.htc.com/quietlybrilliant. HTC has been partnering mobile operators in China since 2003 and has delivered many cutting-edge, intuitive smartphones in China. HTC is devoted to developing TD-SCDMA-based phones, the first wireless standard in China. TD-SCDMA(TD) marks an important milestone in the innovation and growth of China’s mobile industry and has spurred development of the cross-strait mobile sector. HTC Corporation (HTC) is one of the fastest growing companies in the mobile phone industry. By putting people at the centre of everything it does, HTC creates innovative smartphones that better serve the lives and needs of individuals. For more information about HTC, please visit www.htc.com.